Save 40% Off Your Purchase Until 8:00 PM On Saturday! 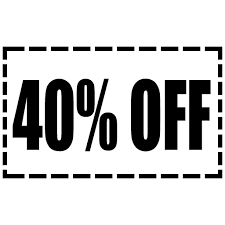 Since we are closed on September 4th.... How about 40% off your entire in-stock purchase from today to 8:00 pm on Saturday. Previous discounts excluded; no layaways or holds. Labor Day.... It's Not About Mattress Sales.